It’s time to turn your culinary skills into an art form. With Dacor appliances, you get exceptional quality with even lines and unmatched aesthetics along with features that can turn an average cook into a chef- features that you’ll wonder how you ever functioned without them. Dacor appliances are one of the youngest appliance brands we carry. 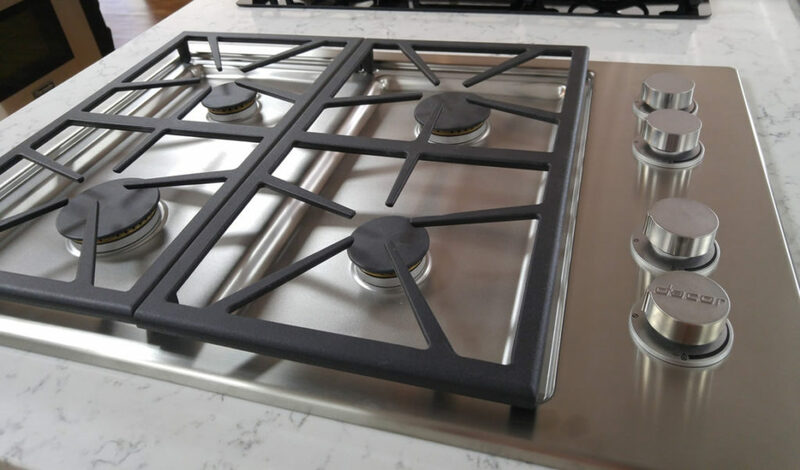 Incorporated in Los Angeles in 1965, they immediately made a name for themselves with luxury gas cooktops combined with electric ovens. Later, they developed an infrared ceramic gas broiler combined with electric Pure Convection and self-cleaning mode. It was the world’s first appliance of its kind. When it comes to outstanding performance and quality, you’ll find Dacor appliances are some of the finest on the market. Come see this incredible brand at our showroom. Dacor makes the famous Discovery 36- and 30-inch Fully Integrated Refrigerators elevates the upscale kitchen appliance category. 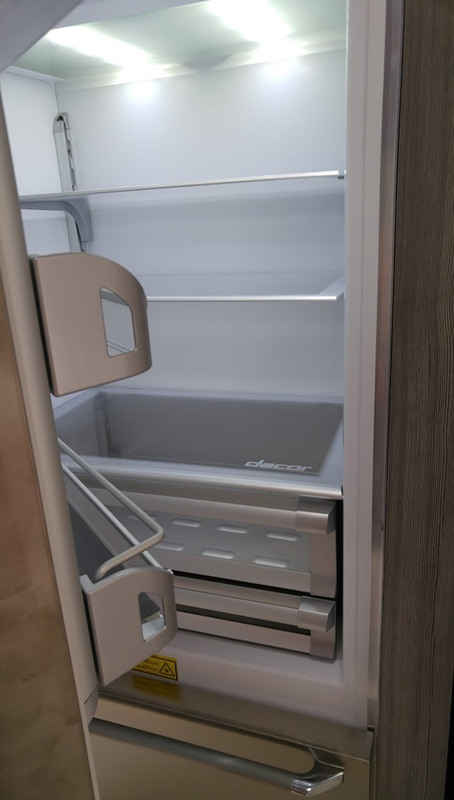 The latest refrigerators have a variety of exclusive features including flushFit™, a patented hinge system, which allows the door to swing clear of adjoining cabinetry. This makes seamless integration a reality. The new hinge system also ensures balanced movement, stability and unencumbered access to all contents inside. Today, they offer appliances with elegance as well as practicality. For example, the pro dual-fuel steam range from Dacor allows you to roast, bake, simmer, sear and steam your way into culinary perfection any night of the week. The Dacor Combi wall oven is a hybrid cooking system that combines microwave technology with convection-sear abilities. This oven allows your meals to cook faster with meats that are crispy yet juicy. 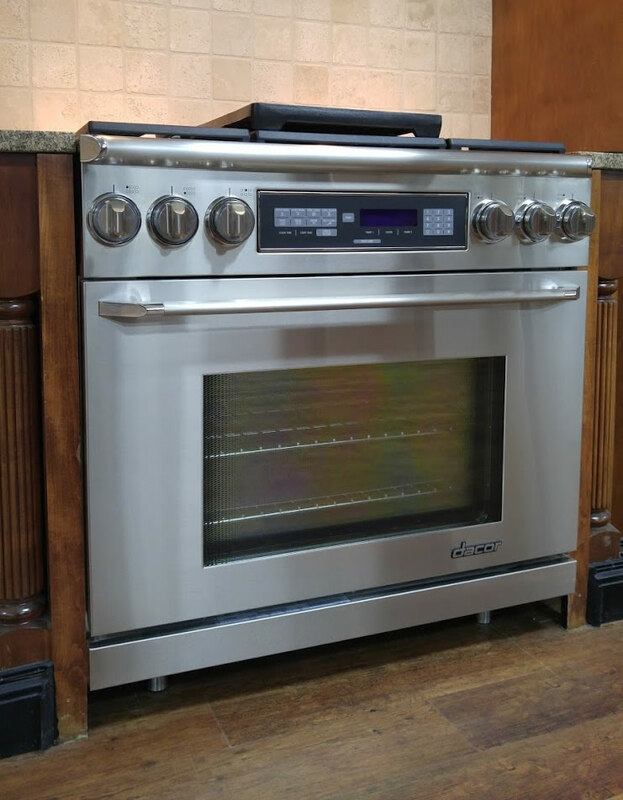 Visit us or call today to learn more about our American made Dacor appliances. Click here to go back to home.